The Neighbourhood Plan Working Group have met twice since our last note in the Parish News. We invited a consultant (Liz Beth who has worked on both the Rode and Norton St Philip Neighbourhood Plans) to our meeting in February to provide us with advice on how to take the Plan forward within the Parish. Her key message was the need for community involvement and we will be arranging meetings/questionnaires in due course to ensure that everyone is able to have a say about the future shape of our Parish including housing development. At our meeting on the 12 March we agreed that we would engage Liz for short periods of support over the next twelve months, subject to funding and that we would be applying for that from Locality (which supports local community groups) although we are unable to do this until April. The Working Group also felt it was important that regular updates were provided in the Parish News as well as on the Parish Council webpage (under the Planning tab). Anyone is welcome to contact me if they would like more information about the Neighbourhood Plan process or would like to be involved in some way. 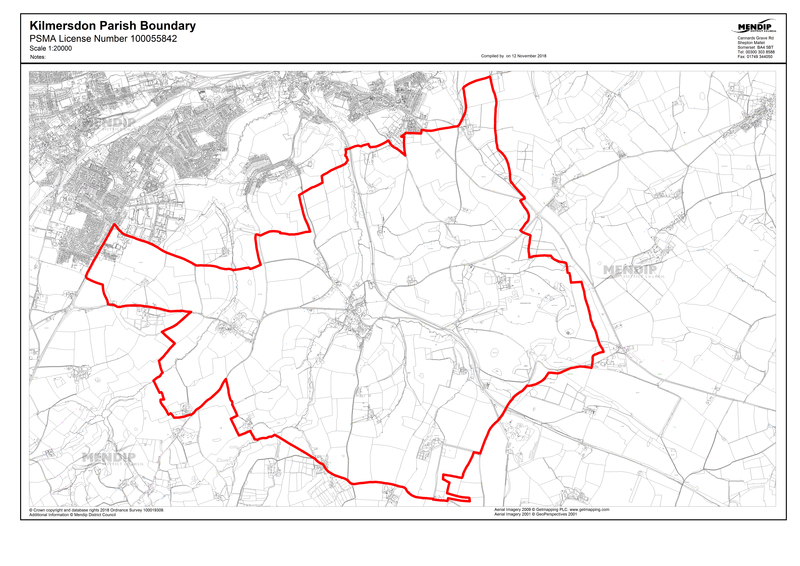 Do you care about the future shape and size of the parish of Kilmersdon? Do you want to see local green spaces retained? Do you think the parish needs more affordable housing? All these questions can be addressed by a Kilmersdon Neighbourhood Plan which would feed into the Mendip Local Plan. The Parish Council supports a Neighbourhood Plan but this requires input from villagers as well as Councillors. If you are interested in becoming involved in developing the Plan please come along to an open session with the Parish Council on MONDAY 15TH OCTOBER AT 7.30PM at Coles Garden Meeting Room to find out more. Why does this matter? Because Mendip District Council will shortly be given new targets which will substantially increase the number of houses to be built. This is our opportunity to have an influence on our future. Other villages have started their Plans and we do not want to be left behind. Please come along. Going forward, at its September meeting the Parish Council gave its support to the formulation of a Neighbourhood Plan and expressed its appreciation of the group of volunteers who will be steering it onwards. Following the article in the April newsletter I am pleased to say that there has been a response to the suggestion of setting up a Working Group on the Neighbourhood Plan. Whilst a Neighbourhood Plan gives powers to develop a shared vision and policies for the village, it has to be said that without such a Plan those decisions are made outside the sphere of the village. So there is a real benefit in setting up the Plan. You do not need to have a background in planning, just a will to take part in the task of forming the Plan. Please contact the Parish Clerk on clerk@kilmersdonpc.co.uk for more information or call 07521 951471. 2011 saw the Localism Act usher in a new tier of planning, which gives greater powers to local communities to shape the future of their area, if they wish. Known as a Neighbourhood Development Plan, neighbourhood planning gives communities direct power to develop a shared vision and shape the growth of their local area. The community can choose where they want new homes, businesses, amenities and facilities to be built. They can have their say on what those new buildings should look like and what infrastructure should be provided. The Plan can also inspire local people to consider other ways to improve their neighbourhood. What might this mean for Kilmersdon? The task of developing this into a Neighbourhood Plan would need people to come together with a variety of interests. The Parish Council would like to assess whether there is a will in the community for such a Plan and any volunteers to give their time. Are you interested in taking part? If so, please contact Kilmersdon Parish Council – clerk@kilmersdonpc.co.uk or 07521 951471.